From the idea to the script, we bring our experience to your project so that it is most adapted to your budget and that it reaches your objectives of communication. According to your request, we find a concept, validate the script. Once validated, we contact the technical, artistic team and plan the shooting. We also take care of the casting, the locations, preparing the sets, costumes, effects, etc. for the filming of the film. This preparation is very important for the success of a film. It requires a good grasp of the difficulties and of seeking to collect all that will be beneficial to the film. The production is the shooting stage, where the images and sounds are recorded and after assembly destined to constitute the film. Depending on the ambition of the film, it can mobilize a team composed of actors (actors, extras, ...) and several specialized technicians: director, production manager, camera, image team, sound team, electricity, machinery, makeup , Costume, decoration, etc. These teams can range from one to several tens of people depending on the budget of your project. It is the third stage of production of a film before its diffusion. Post-production encompasses all techniques for finalizing a film after its shooting: image editing, sound editing, sound editing, dubbing, mixing, special effects (titration, 2D effects, 3D, keying, ...) picture. Finally, the export in the format and support according to the medium utilize. From pre-production, the implementation of a fluid workflow is essential to optimize post-production technical operations. 2-4-5K rushes RED, ALEXA, AVCHD, MOV, DnX HD. For television and cinema broadcasts, we are in charge of the production of the supports (HD-MAT, DCP) and their deliveries to the control rooms. Creative and dynamic, Leyth Production team brings together young professionals from diverse backgrounds and experiences. Our passion animates us in all the audiovisual projects that we lead. Each stage of our various projects is directed and supervised by competent and motivated specialists. Our productions ensure an effective communication and are accompanied by a permanent and attentive follow-up. 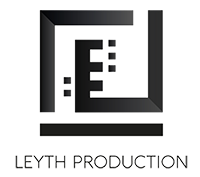 Leyth Production brings together all of the audiovisual business lines within its employees and its collective. Leyth production is also a desire of moviegoers, the desire to make films that its creators themselves want to see. Each film is a new adventure, and the company strives to identify and accompany talented filmmakers. Nada Mezni Hafaiedh born in Saudia Arabia, was from an early aged exposed to different cultures due to her diplomatic parents. Saudia Arabia , USA, France, Canada represents a pool of developments of her passion for cinema. At the age of ten, her hobby was already assumed, she used to produce amateur films and video clips by putting her friends and family as actors. She goes to Montreal to finish her studies in business Administration, but soon changed her curriculum to follow her passion for filmmaking. Graduated from School of cinema in Montreal, she opened her production company to write and direct several projects as documentaries and shorts films, which will be fast appreciated by the canadian community. She is known for tearing down taboo, and touching on fundamental issues that are related with freedom. She is also known for directing her films in a kind of realism by shooting them in a very spontaneous way. On her return in her country of origine, Tunisia in 2009 , she decided then to write her first feature film . What is more intense than producing a map of Tunisian society: Hekayat Tounisia 2010 (Tunisians Stories), that has been the first film released after the revolution. The film made several festivals and received awards. She also wrote and directed a serie version of the film Hekayat Tounisia for a Tunisian private channel of television in 2015. Soon she will release ‘Upon the Shadow’ (Au-delà de l’ombre) a documentary that expresses how much difficult is to grow and protect your sexual freedom in a homophobic society where it is taboo or strongly disparaged. Silm Hafaiedh film producer and businessman. He is manager of AON Tunisia and CEO of Groupe Elyne Trading and Technipano. He started his film career at the beginning of 2007, producing short films such as Impossible (2007), Unkown (2008), and then in 2009 he went on to feature films and television series. what goes around comes around:) Just chill out !!! U don’t have to be a woman, to defend the rights of women. U dont have to be homosexual, to defend the rights of LGBT.